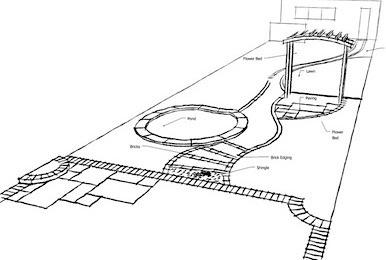 Designing a garden from it’s conception can be a major challenge , it's often difficult to know where to start. Even the redesigning of an existing garden, a part of the garden or just one flower bed can prove tricky. We are always happy to take that challenge and our team will work hard using all the knowledge they have acquired over the years to create your garden. Every single site has the potential to become both beautiful and welcoming our aim is to find and fulfil that potential. Just a little chat with you can help us create your dream garden, a place to restore your peace of mind and revive your enthusiasm. Where ever your starting point is, you will always end up with a garden that will be easy to maintain and give you interest all year round proving it’s worth while making the most of your outdoor space.